Click to open Web Gallery of Art display page. They mistakenly say Miriam is holding a drum, probably following the text which says tambourine. Artistic license has given her what looks like a type of zither. 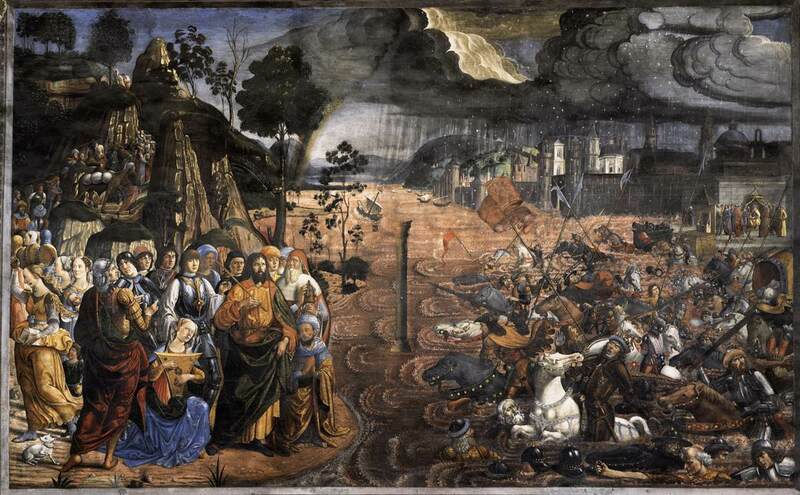 By including Miriam this painting works for both the Crossing of the Red Sea and the Song of Miriam – alternative readings for today. Previous Previous post: Me? Love myself?